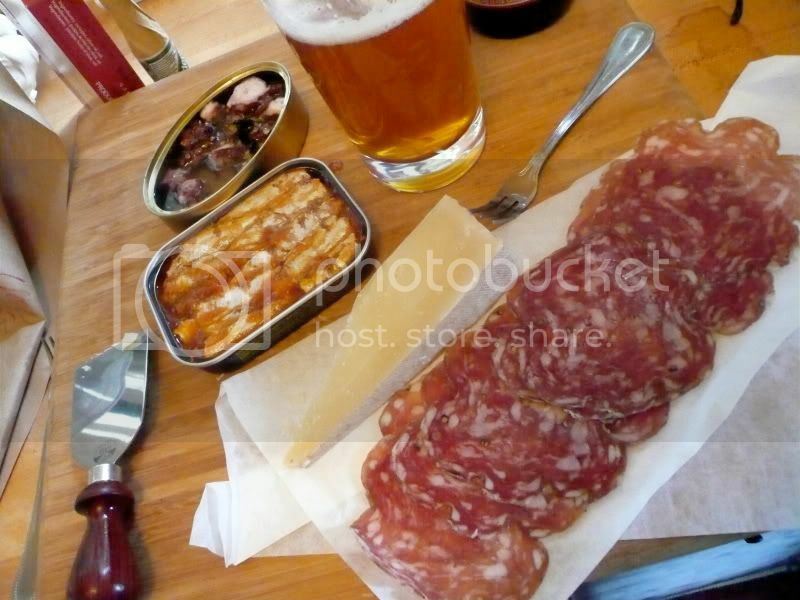 This feed was really about the charcuterie. Fra' Mani sea salt and clove soppresatta from Paul Bertolli, formerly of Chez Panisse and Oliveto. 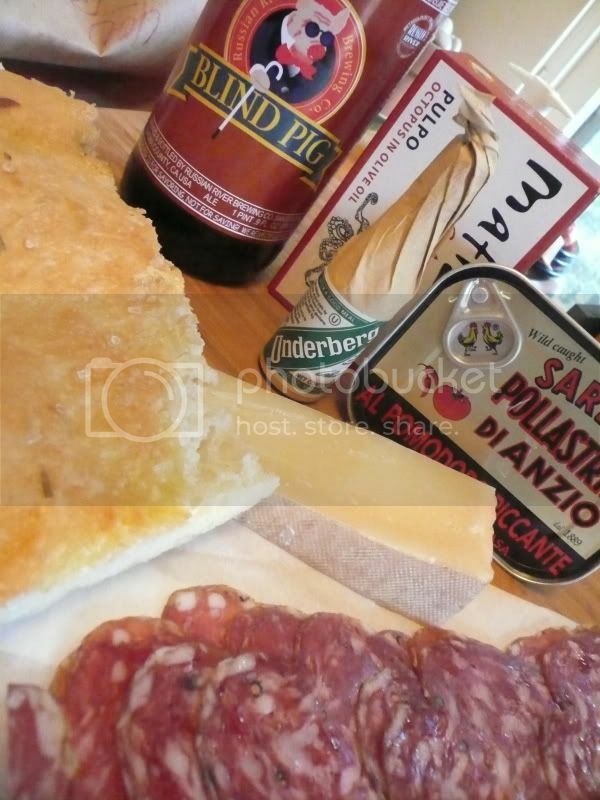 The rest was my favorite focaccia, a cheese that I forgot the name of right away, Pollastrini sardines in spicy tomato sauce, those funky $8 a can Matiz octos (no like), and a bottle of Blind Pig. Underberg is a necessity after this. That soppresatta looks awesome. The fish doesn't look bad either. A23, I don't know if it was you, or one of the other guys, who had mentioned that you are not real keen on sauces in the tin. I'm usually wary of the sauces, too. But how was the spicy tomato sauce with the Pollastrini's? Sauce was okay. Kind of hides the fish too much, but I'm trying all of them. The fish in spicy olive-oil are the ones to have.